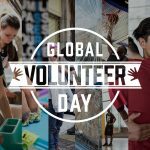 Join us for our June Big Volunteer Day. 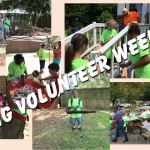 We will be doing painting prep/painting and yard work for the elderly and disabled throughout the Southeast Community, hosting BINGO at Sprately House, and prepping for our July Big Volunteer Week. If you want to help with BINGO we ask that you please bring 5 items from the dollar store if you can. Residents like small boxed cereals, lotions, hand soaps, snacks, face cream, hair products, toiletries & house hold items. We will start at 1:30pm at the Downing-Gross Cultural Arts Center (2410 Wickham Ave, Newport News). As you are under 18, you must be accompanied by an adult OR have a signed waiver to participate. If an adult is accompanying you, please have them complete a registration form also. If yes, please specify their name(s) so we can match you together. Please make sure each person listed completes their own registration. Thanks!